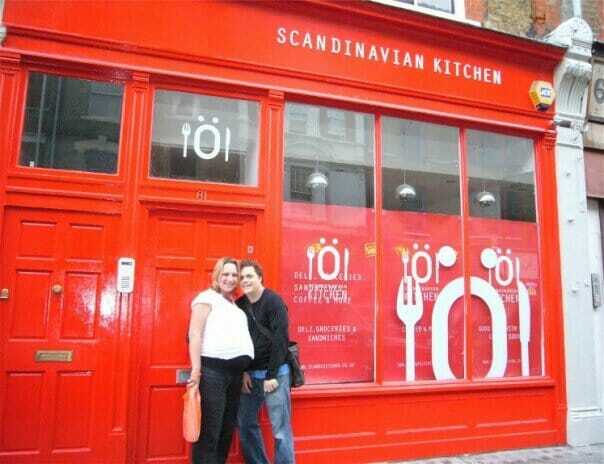 Back in July 2007 when we were busy painting the walls of what was to become our little ScandiKitchen café, we didn’t realise just what a journey we were about to go on. 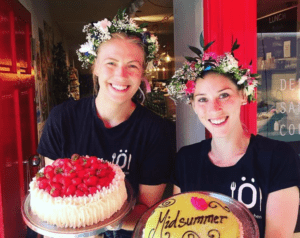 London didn’t have a Scandinavian food scene, there was no Nordic food buzz. We’d never run a café before. We were about to step into a lot of unknowns. 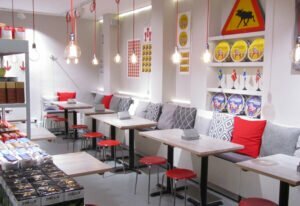 Firstly, we didn’t quite expect to become parents for the first time in the same 24 hours we opened our ScandiKitchen cafe & deli. Of course, it wasn’t a complete surprise, but still, who has a baby on the actual due date, that is also their own birthday AND the opening of their first café? We do, apparently (Astrid will also be 11 this week, the same time as the café – and her mother will age another year, too). Since 2007, we get to celebrate three birthdays the same day every year. Let’s step back a little bit. We, Bronte and Jonas, decided to set up ScandiKitchen because we missed food from home. Being Danish and Swedish, we decided to make it Scandinavian and include Norway too – and eventually Finland as well. We poured in every penny we had (not a lot, actually) – and borrowed a bit too (thanks, Mamma) – and managed to open up on an absolutely shoe string. It took us a good year to make it happen – and a lot of good will from people around us, amazing friends and a Russian builder who called himself George. Did you know that 2/3 of all new food businesses close inside the first two years? Of those that stay open, 2/3 of these die inside another year. The stats were not in our favour. We were terrified. We had no safety net. 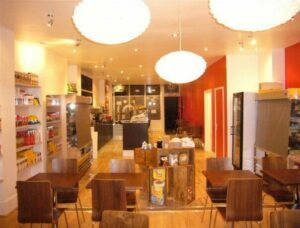 After we’d been open for 1 ½ months, the 2007 recession hit us with such devastating force we thought we’d surely had it. We’re not going to lie: It was a pretty tough few years. There were tears and a lot of sleepless nights, and that was not just because of the baby! Still, here we are, 11 years old, and we’re still full of energy. Still 100% independently owned and still trying to get to our big vision of making sure Scandinavian food finds a permanent place on the British dinner table. Through sheer determination and stubbornness, we’re alive and still doing it. 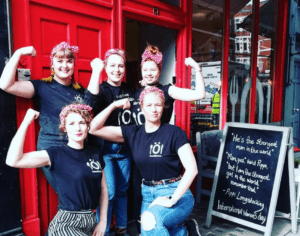 And just look how far we’ve come in our quest: The Scandi food wave happened, people opened their minds to pickled herring and salty liquorice – and now, well, we’re under way to complete our quest. 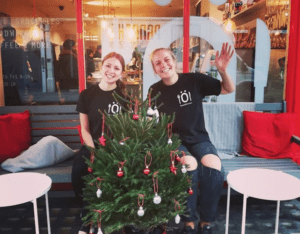 Throughout it all, the idea really was about bringing Scandinavian food to the UK – and making sure we had a nice time in the process. 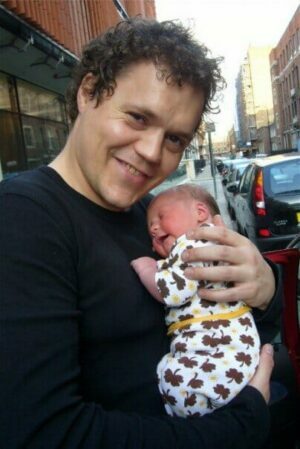 Jonas with 16-hour old Astrid on 11th July 2007. We still managed to open on day 2! (don’t try this at home, kids!). – Supplier to UK supermarket chain from our certified huge 120+ pallet warehouse in Park Royal, West London. And some other stuff, too… Phew. We have been quite busy, but we have loved it all – mostly because we have been so very fortunate to work with THE most amazing bunch of people over the years. People from all over: from Scandinavia, the UK, Poland, Hungary and further afield. Without our people, none of this would be possible. We’ll say it again because we can’t quite believe it ourselves: This week, we’re 11 years old. Thank you everyone who has supported us over time – and thank you to our wonderful, amazing team at the café, office and warehouse. We will be doing lots of give-aways this week to celebrate – follow us on Instagram to be in with a chance to get 11 x of your favourite products!